Why Do Border Deaths Persist When the Number of Border Crossings Is Falling? Government policies funneling illegal immigrants into more dangerous crossing areas have contributed to fatalities. In July, a sweltering tractor trailer ride in Texas became the latest harrowing example of the perils of crossing the U.S. border illegally. From the hospital, one survivor told authorities that he had paid smugglers to get him across the Rio Grande and then cram him on a northbound truck with what he guessed were nearly 100 people. The survivor managed to keep breathing in the pitch black trailer without food or water. But when the doors were opened in a San Antonio Walmart parking lot, eight migrants were dead, their bodies “lying on the floor like meat,” the truck’s driver subsequently said. Another two expired later. Those 10 deaths are among the 255 known migrant fatalities recorded by the International Organization for Migration in the first eight months of 2017. That’s up from 240 in the same period last year. Experts aren’t certain what’s causing the recent increase; verifying numbers is inherently difficult when it comes to an endeavor whose very mission is to avoid detection by the authorities. The result is a significant increase in the chances of dying in an illegal border crossing over the past two decades. A key cause: efforts by the Border Patrol to push migrants away from easy-to-cross, hard-to-police urban corridors and into barren, isolated terrain. That’s the conclusion of “Why Border Enforcement Backfired,” a 2016 paper whose lead author, Douglas Massey, is a professor at Princeton’s Woodrow Wilson School of Public and International Affairs and the cofounder of the Mexican Migration Project. A spokesman for the Border Patrol echoed the view that the change in policy contributed to the increase in deaths (but disagreed that the policy backfired). If somebody had been trying to slip across the border through Texas in the early ’90s, he might have just forded a narrow canal or hopped a chain-link fence from Juarez into El Paso. Back then, the vast majority of unauthorized crossings followed easy routes into big cities like El Paso or San Diego, where illegal immigrants could, to the frustration of authorities, quickly blend into the local population. 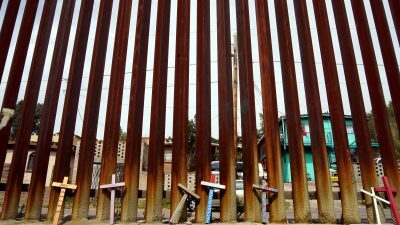 Border deaths were relatively rare, said Daniel Martinez, an assistant professor of sociology at the University of Arizona and a researcher on a project called the Migrant Border Crossing Study. Things began to change when the Clinton administration, seeking to burnish its tough-on-illegal-immigrant credentials, swelled the Border Patrol’s ranks and adopted a strategy known as Prevention Through Deterrence. The initiative, adopted in 1994, clamped down on popular crossing routes through San Diego and El Paso. That’s precisely what happened when the administration implemented Prevention Through Deterrence. Starting in the mid-’90s, the Border Patrol effectively sealed off the well-traveled crossing paths of the San Diego and El Paso Border Patrol sectors. From 1998 to 2008, deaths in these sectors — which had hovered between 20 and 40 annually — tailed off, eventually dropping to a handful in recent years. Tens of thousands of migrants began shifting to lengthier, more dangerous, unpopulated routes, according to experts. The location of many fatalities shifted accordingly. Arizona became a hotbed for migrant crossings and deaths in the first years of the new millennium. In the Tucson sector, which stretches over 262 miles of border, much of it desert terrain, migrant fatalities jumped from 11 in 1998 to a peak of 251 in 2010. The latter change is visible in recent years in two Texas sectors. The relatively small Laredo area has seen deaths rise from 20 in 1998 to 68 last year. Meanwhile, in the Rio Grande Valley sector, which includes 320 miles of border and some formidable river crossing points, annual deaths rose from 26 in 1998, peaked at 156 in 2013 then tailed off to 130 last year. The Rio Grande is now the most common site of migrant deaths, according to Border Patrol data. 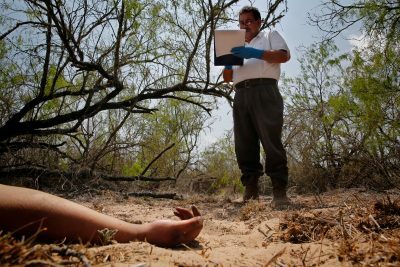 Since January 2009, the remains of more than 550 migrants have been found in just one jurisdiction, Brooks County, where migrants attempting to bypass Border Patrol’s inland checkpoints hike for days through dry ranch land, often getting lost and dehydrated in the flat, arid brush. The Border Patrol’s Daniels agreed that the extreme climates of migrants’ crossing paths were the primary cause of the increased deaths, but also blamed smugglers. “We saw the smugglers taking the aliens to more remote locations to cross with the thought that there would be no Border Patrol,” said Daniels, who began his career in Tucson in 1994. “I haven’t heard of any theories for this outside of the extreme weather.” Daniels noted that other possible factors, like shootings and general border violence, could not explain the deaths. Once it became clear that environmental deterrence was not stopping migrants, however, authorities did not reverse their strategy. “That always has always been one of the major criticisms,” said Meissner. To make up for the increased risks, she said, the Border Patrol trained agents for emergency response operations and deployed agents, paramedics, helicopters and surveillance equipment to hazardous areas. Minors from violence-plagued El Salvador, Honduras and Guatemala will no longer be permitted to reunite with their parents in the United States. As this shift took place, border crossings dropped regularly, and from 2012 to 2014, so did migrant death rates. But the latter figures were skewed by a surge of migrants from Central American countries at the same time that illegal entries by Mexicans dipped. 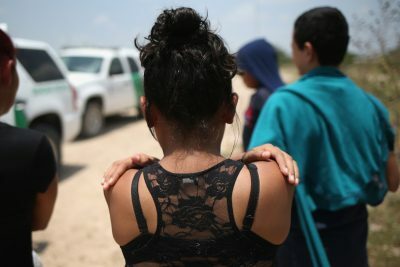 Many of the Central Americans, fleeing violence in their countries, intentionally placed themselves in U.S. custody in an attempt to seek asylum. Since the migrant death rate is defined as fatalities as a percentage of apprehensions, the spike in apprehensions had the effect of lowering death rates. Martinez argued that it is more important to look at the longer-term shifts than trying to identify one or two elements. People have been forced to take ever more demanding and precarious routes. Correction, Sept. 22, 2017: This story originally said Daniel Martinez is an associate professor. He is an assistant professor. George Joseph was a reporter focusing on immigration, law enforcement and the use of “big data” in criminal justice systems. Beyond ProPublica, his work has appeared in outlets such as The Guardian, The Atlantic, The Intercept and CityLab.